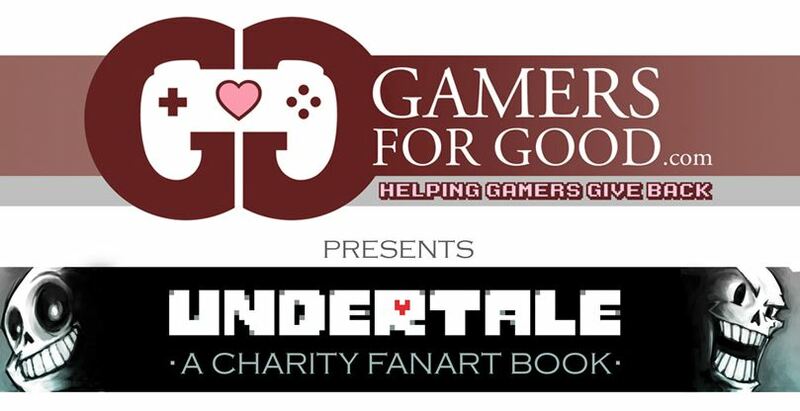 Gamers for Good has announced that they are creating another charity artbook and they need your help! With the participation and fundraising success of their last charity artbook, Gamers for Good is ready to create another charity artbook. 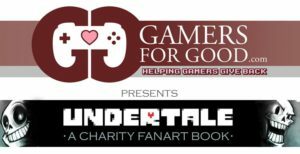 This time around with Toby Fox’s blessing, Gamers for Good will be producing an Undertale Charity fan art book (Book Name TBD). Gamers for Good believes that that Undertale challenged the way we play games primarily through our believe of “the standard” way to play. Their model got us all talking, removed the “META” barriers and resulted in a deeply emotional experience. Based on this experience, Gamers for Good wants to challenge how the world thinks about mental health and to remove the stigma associated with mental health issues. The proceeds of the Undertale Charity Fan artbook (Name TBD) will benefit three incredible gamer related charities who are working in the mental health space: Child’s Play, Take This, and Anxiety Gaming. Gamers for Good is accepting submission now through October 16, 2016 for this project! If you have an image you’d like to contribute, please submit it to Gamers for Good. If you like to draw, please consider making an image. If you like to cosplay, please submit a photograph. If you make music, please submit a fan cover for campaign rewards. If you have a favorite artist, please ask them to submit. If you want to help out generally, please consider sharing the word about this new project. These are but a few of the ways that you can help out. Please take a free moment of your time to contribute something to the cause – even if you are merely getting the word out. Let’s make it happen and show that we’re all Big Hearted Gamers! Check out more information at the Gamers For Good Undertale Project Page. Next Post Vetober – Because One Day is Not Enough!